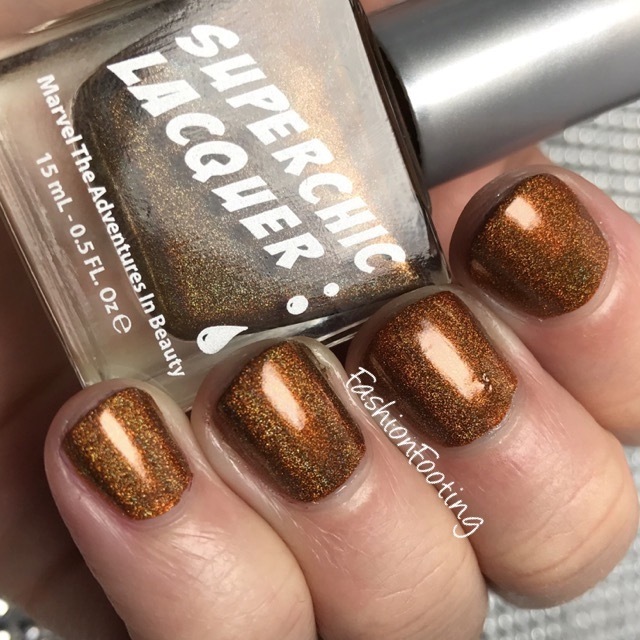 I have 3 SuperChic Lacquer polishes to show you this week. I'm going to start with Rum Billie, a gorgeous bronze linear holo. This had a perfect formula, and was opaque in one coat!! I love this color. I don't have anything like it, actually, which is always a rare treat!